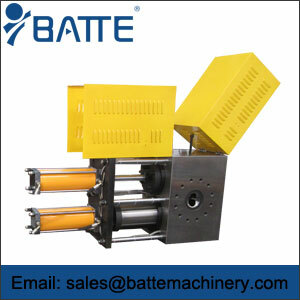 Hydraulic screen changer for extruder with automatic compensation on sealing gap can be realized during continuous screen changing process. 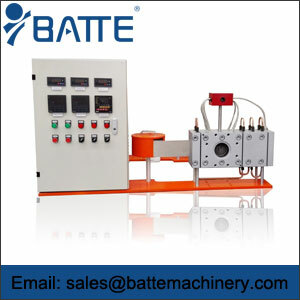 Hydraulic continuous screen changer for extruder compatible with only extruders for various polymers processing for most polymer at high output. 2.The screen has good abrasive resistant. 4.Ensuring large effective filtration area and improving filtration effect. 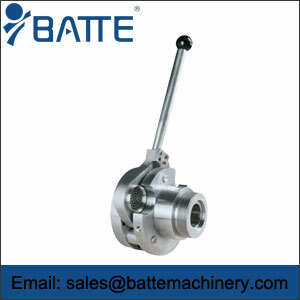 5.It works well even under high temperature up to 300 °C and high pressure up to 50 MPa. 6.Screen changing time ≤ 2 seconds with pressure accumulator. 1.Apply to extrusion production in a wide range of materials and product. 2.Good sealing system ensures perfect sealing effect. 3.The function of filling material exhaust and pollution discharge guarantee the continuous screen changers of replacing screen continuously. 7. 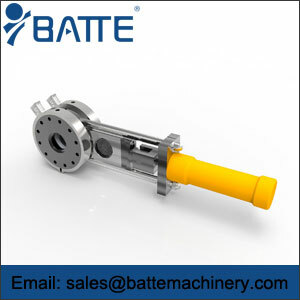 We design and manufacture production of various sizes according to the customers’ requirement. 8. A well-designed structure makes operation more convenient . 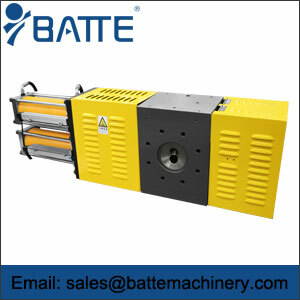 The automatic screen changer for extruder can be used for sheet, plate, pipe, film, blown film, wire, cable, profile, granulation (masterbatch, compounding, blend features granulation, cable materials, functional masterbatch, synthetic granulation , recycling and pelletizing) and it is suitable for most of thermoplastic plastics.